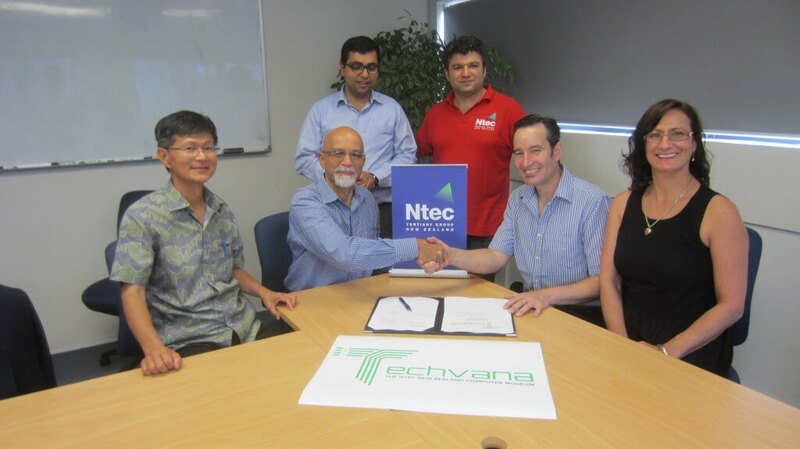 Techvana is pleased to announce that Ntec – National Tertiary Education Consortium – is Techvana’s Diamond Naming Sponsor and Techvana will now be known as Techvana, The Ntec New Zealand Computer Museum. As part of the agreement Ntec is providing Techvana with an entire floor of one of its campus buildings at 25 Federal Street in Auckland’s CBD. “This is only 100m from Fanshawe Street and puts Techvana close to the Viaduct and Wynyard Innovation Quarter,” says Techvana CEO Mark Barlow. After a successful proof of concept in Auckland CBD’s Cook Street for 2 months last year, Techvana moved into storage, and is looking forward to reopening in the newly renovated site. “This major boost for Techvana enables us to greenlight the project. We really appreciate Ntec’s support. It is a home from which we can continue to build on the concept and partnerships,” says Mark. “The partnership is part of Ntec’s strategy to provide education to its students for employment and enterprise. We are looking forward to the partnership and believe it will be highly beneficial to both parties,” says Ntec’s CEO Dr Sam Malafeh. Once renovations are complete, Techvana will have exhibition and event space, including meeting and education rooms, offices, and storage. Techvana will work with Ntec and its students on a number of projects, providing both work experience and connections to the broader IT industry. “Initially we won’t be opening to the public, but shareholders and supporters will be invited to preview the space in the next 5-6 weeks,” says Barlow.